A quick view of the most influential metrics in New Canaan. New Canaan is a medium sized town in Fairfield County, Connecticut and the only community on Connecticut's Panhandle that is not located on the coast. It is highly affluent, has premier shopping, with upscale stores and boutiques as well as unique mom and pop businesses. The town has approximately four to six neighborhoods and is the 55th largest community in the state. New Canaan is in close proximity to New York CIty and has garnered the nickname "The Next Station to Hell." The sections or neighborhoods in New Canaan include Smith Ridge Road, Talmadge Hill, New Canaan Center, Ponus, Pinney's Corner and a portion of Silvermine. Canaan's Parish was established in 1731 by the general assembly of Connecticut. Development in the area was slow and the town remained small and the area remained agricultural until the Revolutionary War. After agriculture, the next industry to take hold in New Canaan was shoe-making. Development continued slowly and the community was incorporated in 1801, a long seventy years after it was established. In I868, the railroad came to New Canaan and it did not take long for New Yorkers to discover this peaceful little haven removed from the hustle and bustle of the big city. Many built summer homes in New Canaan and others came to settle there year round choosing a daily commute over living in the crowded city. Many people are still happily making that choice today. The town is decidedly white-collar and over 94% of the workforce holds white-collar positions. Many workers in New Canaan work from home either in small businesses or via telecommuting. The town spans 22.5 square miles, 22.1 square miles of land area and .4 square miles of water area. In 2006 it was the 9th wealthiest town in the United States, according to CNN Money. In 2010, the per capita income was $97,498 and the population was 19,738. By 2013, the estimated median household income was $178,371 and the estimated per capita income was $105,110. In addition, the estimated median house or condo value was over $1,000,000 and the mean housing price on all housing units was $640,338. The latest population estimate for 2014 reported the population at 2,014. 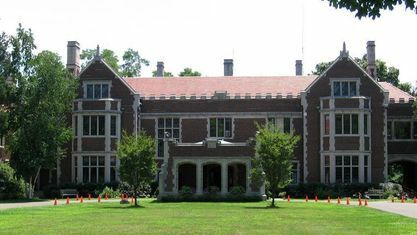 Public education in New Canaan is provided by the New Canaan Public School System which features five public schools and is one of the highest performing school districts in the state. 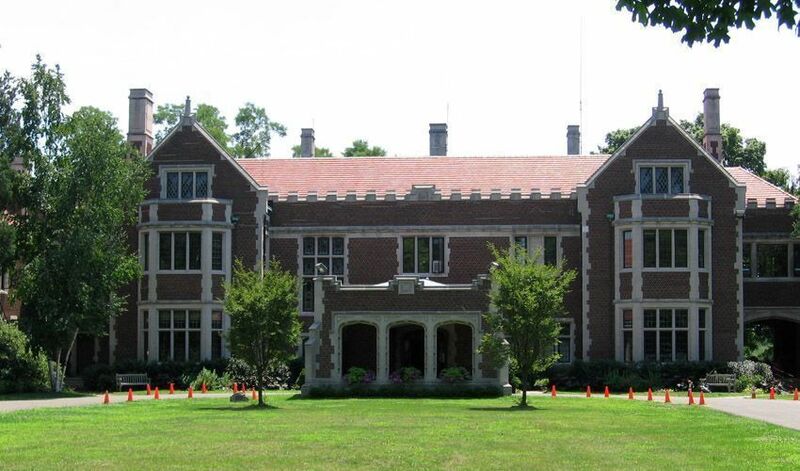 Local attractions include, but not limited to the New Canaan Nature Center and Waveny Park which spans 300 acres and features a structure referred to as a castle. The town also has several sites and structures listed on the National Register of Historic Places, like John Rogers Studio, which was constructed in 1878, the Hampton Inn, built in 1908 by the Elwood Brothers, the Philip Johnson Glass House and many others. The community also hosts several events throughout the year like the Holiday Stroll, Easter Egg Hunt, Family Fourth Fireworks and more. Architectural styles of homes from colonial structures, farmhouses and Harvard Five modern homes. Homes for sale range from starter homes through estate properties and mansions. Other housing includes upscale apartments, town homes and condominiums for sale, lease or rent. Call House Real Estate CT at 203-667-7416 to begin the search for your home today. View our selection of available properties in the New Canaan area. Check out the latest demographic information available for New Canaan. Get to know New Canaan better with our featured images and videos. Browse through the top rated businesses in the most popular categories New Canaan has to offer.